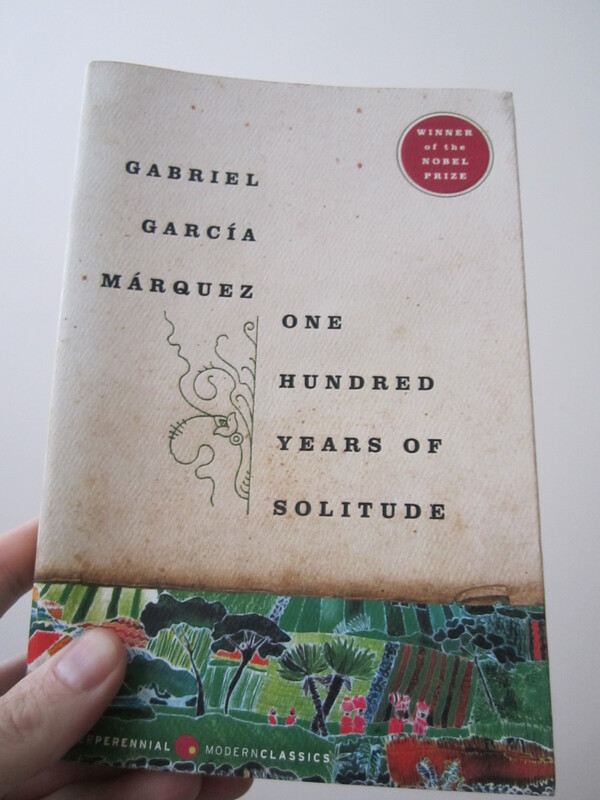 One Hundred Years of Solitude (1967) by Gabriel García Márquez is a brilliant book by a true master, storyteller and magician. While on a family vacation in Acapulco, Gabriel García Márquez became struck with a vision of a story that, in two years, would become the sensational novel called One Hundred Years of Solitude. The story involves the life of the Buendía family over roughly one hundred years in the town of Macondo, and Márquez’s writing reflects his culture and heritage, often moving in a downward spiral that folds back on itself rather than a linear approach often found in American literature. E.L. Doctorow explains that most “American writers have always been disposed to move along at a snappier pace than their European counterparts. But the minimal use of exposition does suppose a kind of filmic compact between writer and reader, that everything will become clear eventually” (50). Despite the often crawling pace of Márquez’s South American prose, which also includes a straight-faced magic realism, he is able to bring characters, who often have a lasting impact, alive in just one sentence, and convey extraordinary events clearly and convincingly. Characters are the heart of the story and although their action and dialogue can make or break a plot, it is their vivid emergence onto the scene of the fictive dream that must be handled with alacrity. “Nearly every one can be summed up in a sentence,” writes E.M. Forster in Aspects of the Novel, “and yet there is this wonderful feeling of human depth” (71). Márquez’s novel is an extensive history filled with countless characters, and most are memorable because of how he introduces them with such clarity and power that they are not easily forgotten. The first example is for a major character that is referenced throughout the novel unto its end. Márquez writes: “A heavy gypsy with an untamed beard and sparrow hands, who introduced himself as Melquíades, put on a bold public demonstration of what he himself called the eighth wonder of the learned alchemists of Macedonia” (1). With such a brisk description incorporating “heavy,” “untamed,” “sparrow,” “bold” it is no wonder why the reader will vividly recall this character when he is summoned into later events by the author. Márquez does this with every character he writes into the story, and this last example is for Petra Cotes described as “a clean young mulatto woman with yellow almond-shaped eyes that gave her face the ferocity of a panther, but she had a generous heart and a magnificent vocation for love” (188). The depth through brevity is what allows these characters to be fully shaped as quickly as possible, and Márquez is a genius at making these characters come alive, mostly fully formed, as they step out onto the stage of the story. 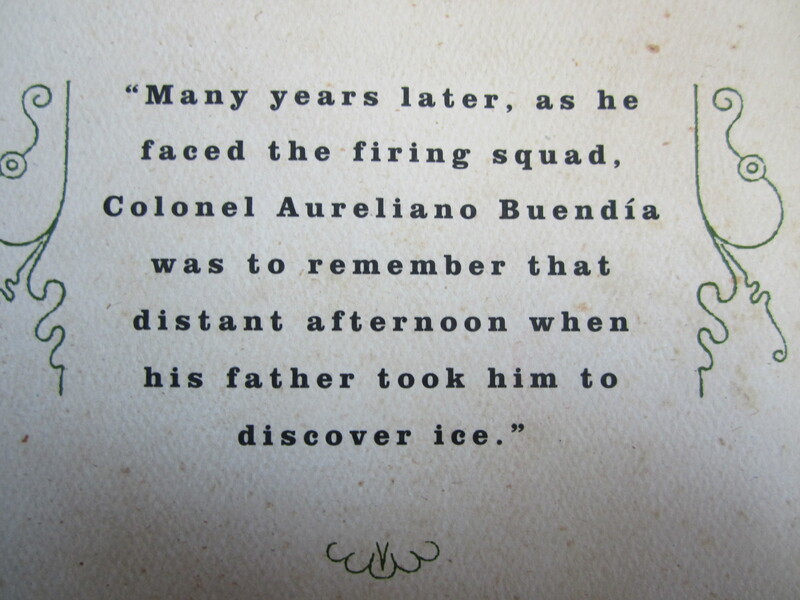 Another tool that Márquez has at his disposal in this classic novel is his ability to write spectacular and unbelievable events as though they were common place and more factual than rumored. Márquez explains that in his earlier attempts to write stories involving magic realism was that he “tried to tell the story without believing in it” and he later “discovered that what [he] had to do was believe in them…and write them with the same expression with which [his] grandmother told them: with a brick face” (Afterword 8). Amaranta felt a mysterious trembling in the lace of her petticoats and she tried to grasp the sheet so that she would not fall down at the instant in which Remedios the Beauty began to rise. Úrsula, almost blind at the time, was the only person who was sufficiently calm to identify the nature of that determined wind and she left the sheets to the mercy of the light as she watched Remedios the Beauty waving good-bye in the midst of the flapping sheets that rose up with her, abandoning with her the environment of beetles and dahlias and passing through the air with her as four o’clock in the afternoon came to an end, and they were lost forever with her in the upper atmosphere where not even the highest-flying birds of memory could reach her (236). As Remedios the Beauty vanishes into a Christ-like ascension, the writer or narrator remains passive and a reporter of events, and does not critique what is happening. And this is no easy task, by any means, for any writer. 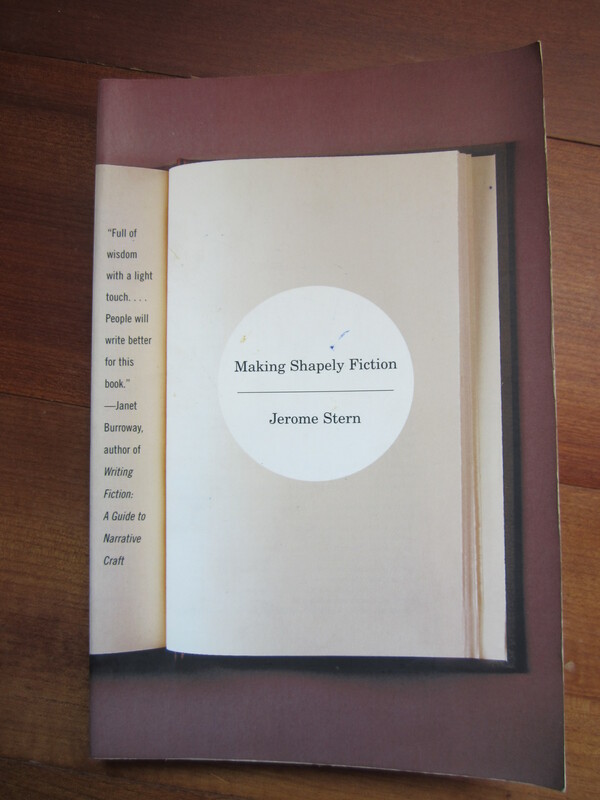 “A story that renders a single moment convincingly is a complex accomplishment,” writes Jerome Stern in Making Shapely Fiction, “The complexity lies in the richness, the rendering, the texture, the subtlety of observation, the experience it creates for readers” (66). Not stopping there. In addition, what Márquez does successfully in this piece is not only to tell it in a clear and convincing manner, but to do so in a manner that allows the reader to draw her own conclusions about what might or might not have actually happened to Remedios the Beauty. After all, Úrsula is practically blind and she is the one to have “watched” this event take place. Needless to say, however, a truly great writer allows the reader to become involved with interpreting events for themselves, rather than having every last detail explained. 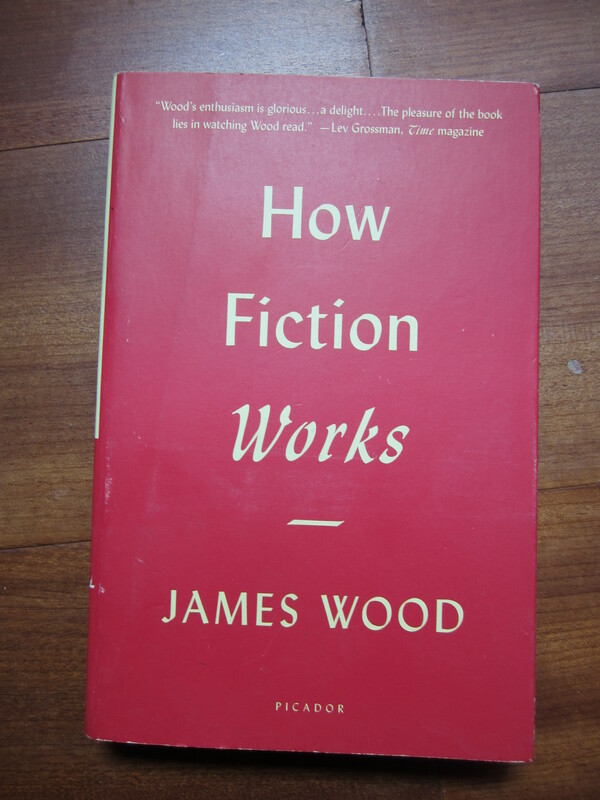 James Wood, in How Fiction Works, articulates this trait every writer should remember to use: “The reader tends to plump for one reading, while being aware that multiple readings are also possible; we sew ourselves into the text, becoming highly invested in our version of events” (216). Márquez repeatedly accomplishes this most difficult task of involving the reader in extraordinary events without having to solidify interpretations in concrete explanations. Instead, he leaves it up to the reader and that allows the reader to become not only an observer of the story but also a participant. “And then he saw the child. It was a dry and bloated bag of skin that all the ants in the world were dragging toward their holes along the stone path in the garden. Aureliano could not move. Not because he was paralyzed by horror but because at that prodigious instant Melquíades’ final keys were revealed to him and he saw the epigraph of the parchments perfectly placed in the order of man’s time and space: The first of the line is tied to a tree and the last is being eaten by the ants” (415). Aureliano’s son’s dead body is dragged off by ants and the man watches in a passive reflection and comes to an understanding of a cryptic text, and not once is the emotion of a father for a lost son extrapolated. The emotion, or the horrific empathy of such an event, Márquez leaves for the reader to interpret how she sees fit, and it draws the scene to a much more powerful close by doing so. 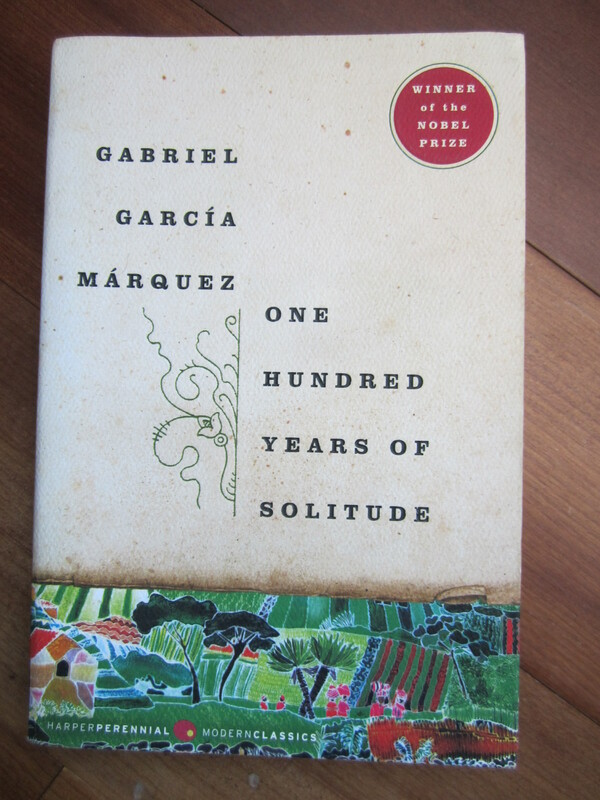 Márquez is a master at work in One Hundred Years of Solitude. He is able to write magic realism and unbelievable events in an approach that has been studied and copied ever since, a tone of reporting more than forced emotion, and he allows the reader to draw conclusions, both in fact and feeling, throughout the stories long spiral of events. And for these reasons, his ability to become a magician through his storytelling establishes his novel above a great many others and will likely remain one of the greatest books in the twentieth century, and readers and writers will continue to admire it in the twenty-first century, and beyond. Afterword. “The Great Novel of the Americas?” One Hundred Years of Solitude (1967). By Gabriel García Márquez. Trans. Gregory Rabassa. New York: Harper Perennial Modern Classics, 2006. 8-12. Print. 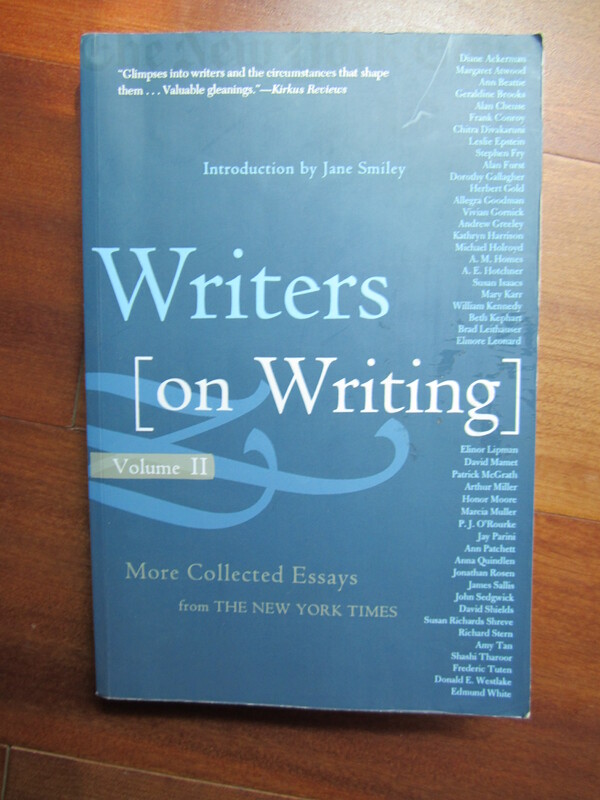 Doctorow, E.L. “Quick Cuts: The Novel Follows Film into a World of Fewer Words.” Writers on Writing: Collected Essays from The New York Times. New York: Times Books, 2001. 49-53. Print. Márquez, Gabriel García. One Hundred Years of Solitude (1967). Trans. Gregory Rabassa. New York: Harper Perennial Modern Classics, 2006. Print. I have read so many posts on the topic of the blogger lovers but this article is genuinely a fastidious paragraph, keep it up. Thanks for ones marvelous posting! I truly enjoyed reading it, you’re a great author.I will be sure to bookmark your blog and definitely will come back in the future.